Sophie Williams is an artist, illustrator and textile designer living in Toronto, Ontario. After completing her BFAH at Queen’s University, she continued her studies in the Craft and Design Textiles Program at Sheridan College. Her combined education has helped her develop a fluency in traditional and digital design methodology. She currently works as a designer at Moss & Lam studio. Sophie’s work combines figure drawing, printmaking and surface design on paper and fabric. She uses collage as a foundation to explore the artistic potentialities of printmaking, while reflecting her longstanding fascination with architectural space. 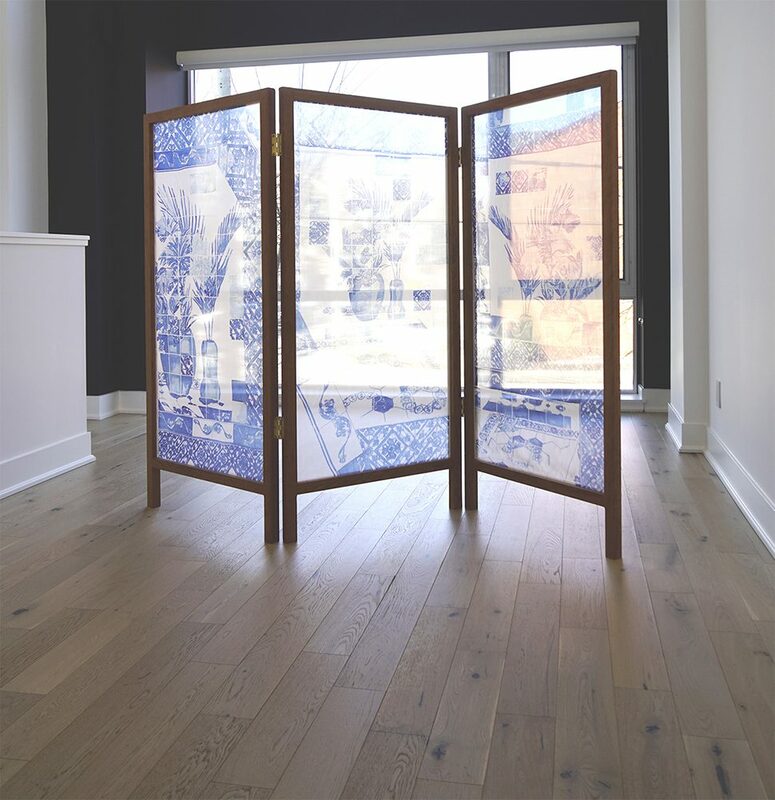 Printed with dyes on silk satin organza, The Casa da Mùsica is comprised of repeating static images, and textures fused through memory to suggest the possibility of an alternate environment. 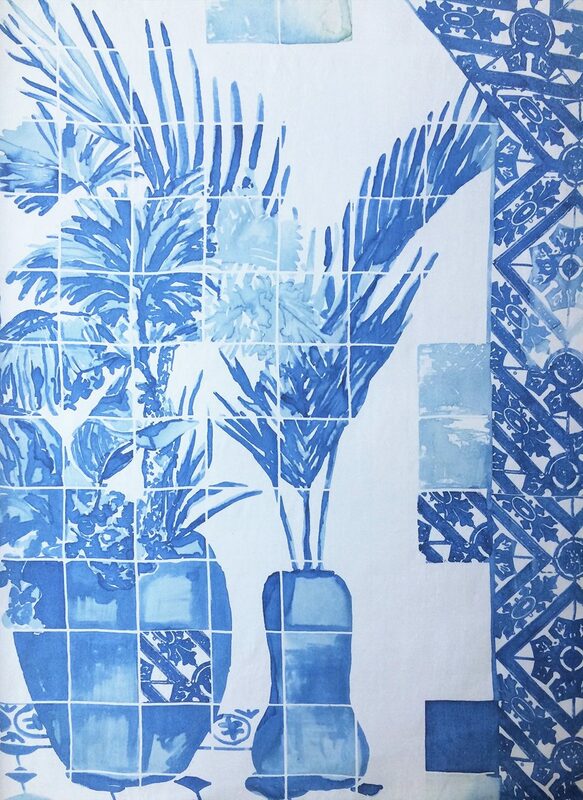 By using a polychromatic printing technique, the lightweight fabric looks like hand painted Portuguese tiles. 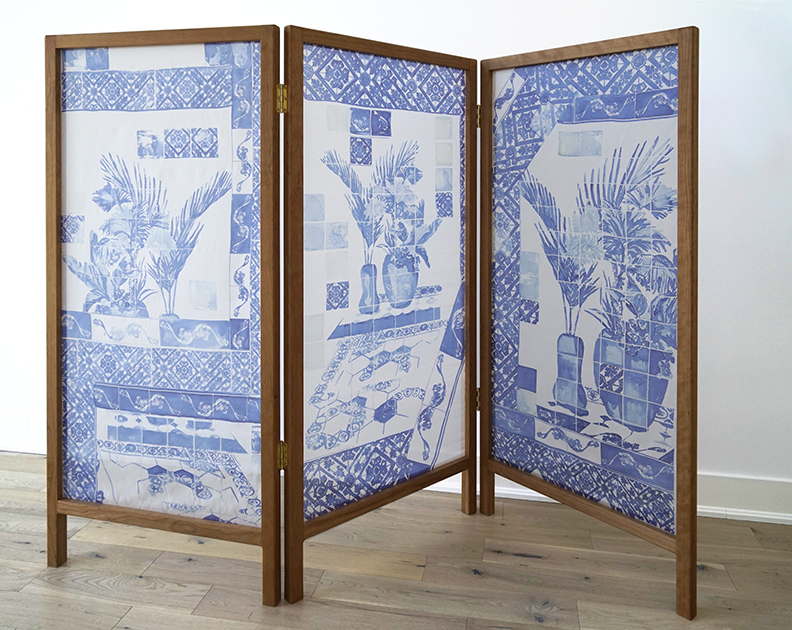 The room divider reads as a storyboard, capturing an intimate moment from different perspectives. Motifs of architectural pattern and flooring run through the frame as an entryway and exit from the imagined scene.